Having recently returned to doing some Target book covers following a break, my fingers got a bit itchy to do something new... so here's a preliminary cover for the first episode of Doctor Who series 10. No blurb for it as I know bugger all about the story's content. And yes, it is THAT still of Pearl Mackie! It reminds me of the unused cover for the original series' The Twin Dilemma which was just an Andrew Skilleter painting of Colin Baker on a starry background. But at least mine makes a tiny effort to reflect the story title. Bill does have a little star in her eye. My, that's got to smart...! 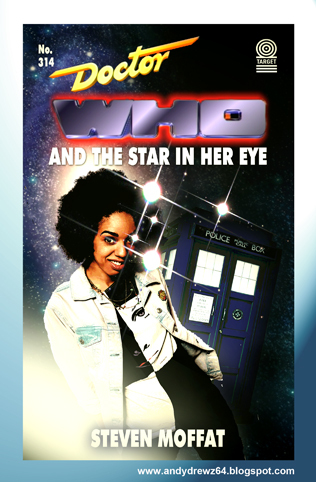 The complete range of my faux Target book covers - from An Unearthly Child to The Husbands of River Song is accessed by clicking here. The most recent series featuring Peter Capaldi is accessed by clicking here.